Project 3112: M. R. Chani-Posse, A. J. Brunke, S. Chatzimanolis, H. Schillhammer, A. Solodonikov. 2018. 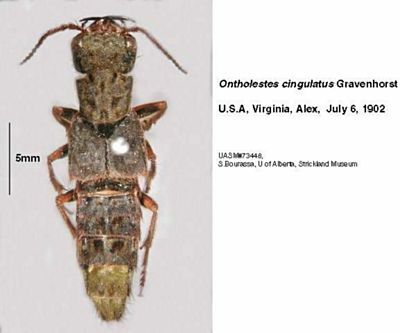 Phylogeny of the hyper-diverse rove beetle subtribe Philonthina with implications for classification of the tribe Staphylinini (Coleoptera: Staphylinidae). Cladistics. 34 (1):1-40.